Alaska is the most exotic destination you can travel to without a passport. You’ll find sprawling mountain ranges, vast open sky and spaces, plus days that are twice as long (or nonexistent, depending on the season). Nature is king here, and it can be experienced in all of its glory from the comfort of one of these luxurious lodges. 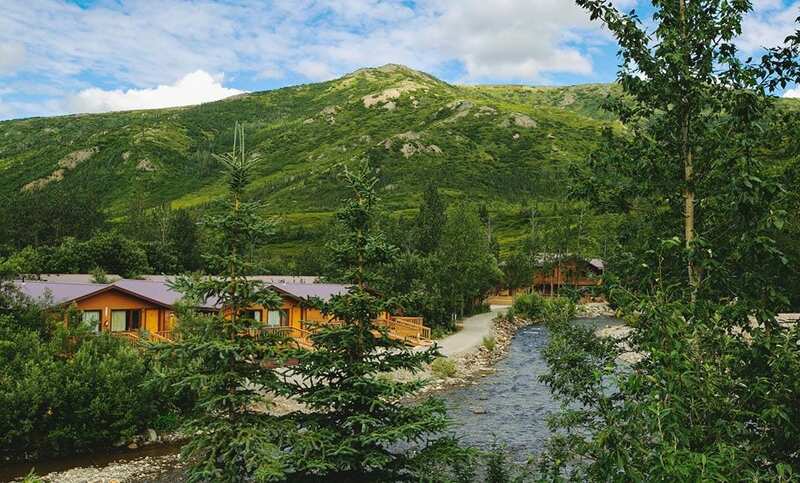 Denali Backcountry Lodge is an all-inclusive lodge located in the heart of Denali National Park. It is relatively easily accessible compared to more isolated Alaska lodges. The Wilderness Express Rail (WEX) runs many times a day from Anchorage to Denali National Park. It is approximately a 7.5 hour express rail ride. 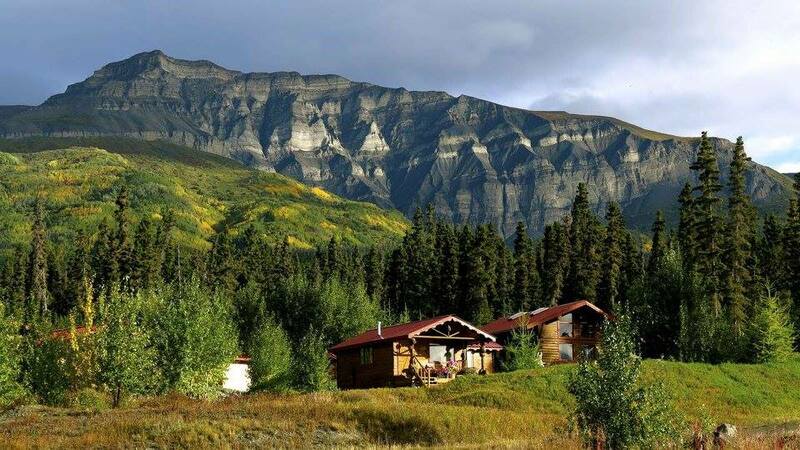 Book one of the private cabins on this property for stunning views and the perfect place to stay in order to explore the ruggedly wondrous backcountry of Denali National Park. We aren’t the only ones that love this lodge! In 2017, Denali Backcountry Lodge was honored as one of the top ten adventure lodges around the world by National Geographic. Kenai Fjords Wilderness Lodge is on Fox Island, which is just a 12-mile boat ride from Seward, though it would seem far more remote. You can reach Seward from Anchorage in about 4.5 hours by WEX. In addition, you can reach Seward directly via glacier cruise. Fox Island is located in the middle of Resurrection Bay, just outside Kenai Fjords National Park. Customize your own adventure itinerary with activities that suit your desires, such as an evening kayak tour. This tour sets out from your waterfront cabin at 8 PM. It is the perfect way to unwind and reflect, surrounded by the beautiful mountains and water. Last but not least, Ultima Thule Lodge is the ideal place to stay in Alaska for those looking for complete isolation, according to Forbes. We love this family-owned place because it is family owned by a couple and their two adult children. 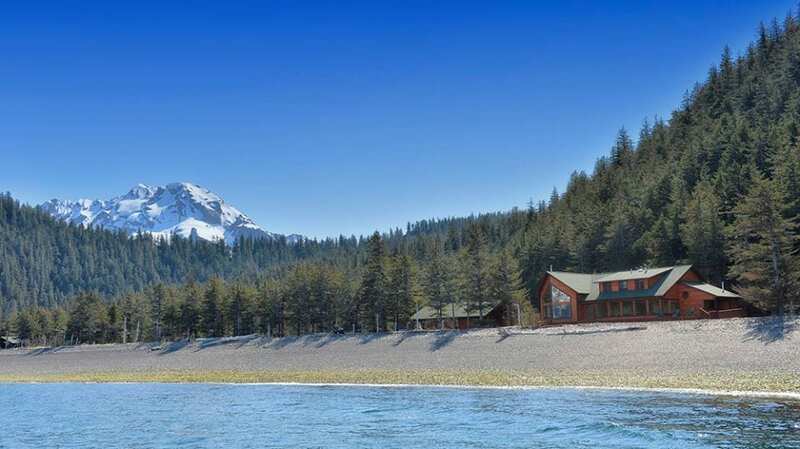 The “homespun, but undeniably luxurious” Ultima Thule Lodge is the perfect setting for your Alaskan adventure. Book one of the five five-star cabins sitting on 5 gorgeous acres of land, river, and mountains. You’ll find fluffy bearskin rugs, Craftsman furniture, and a hot shower, in addition to a shared outdoor cedar sauna and hot tub. These luxurious cabins are the base for Ultima Thule’s adventure activities. Each day, guests board two- and four-seater planes to do whatever outdoor adventures you can think of! Think hiking, wildlife spotting, fishing, and rafting, in addition to backcountry skiing in the spring. Call us today to book your own outdoor adventure with Enchanted Travel at 402-281-3022.